Melatonin is a very popular sleep aid. It’s naturally produced in your body. You don’t need a prescription for it and can buy it in gummy form or in a fruity drink. But is it as effective and safe as we think? Natural melatonin, a hormone produced by the pineal gland, helps humans fall asleep ― and synthetic melatonin has been available as a sleep aid for nearly three decades. But the synthetic version’s effects have not been extensively studied, and since it’s classified as a “dietary supplement,” it is almost completely unregulated by the FDA. It’s important to take a closer look at this common supplement. “Any person in the sleep world will tell you the same thing: melatonin is not harmless, is vastly overused and should not be used as a sleep aid to treat insomnia,” Michael Grandner, a sleep researcher at the University of Arizona, told HuffPost. Melatonin is meant to reset the body’s internal clock ― for example, it’s appropriate to use the supplement to counter the effects of jet lag, or help someone sleep if they have an unusual work schedule or suffer from a circadian rhythm disorder. It should not be used for general insomnia. The proper dosage, according to a seminal 2001 study from the Massachusetts Institute of Technology, is 0.3 milligrams. The research was conducted by Richard Wurtman, who pioneered the pharmaceutical use of melatonin as a sleep aid in 1994. Pills and supplements often sell 10 times that suggested amount in a single dose. This can lead to higher plasma melatonin levels the next day, which can cause a “hangover” effect that leaves users groggy. According to a 2005 meta-analysis of melatonin studies from MIT, also led by Wurtman, researchers found that the widely available high doses of melatonin are ineffective. “After a few days, it stops working,” wrote Wurtman, in a press release accompanying the study. When the brain’s melatonin receptors are exposed to too much of the hormone, they become unresponsive, he said. He said there is “extensive evidence from laboratory studies that melatonin causes changes in multiple physiological systems, including cardiovascular, immune and metabolic systems, as well as reproduction in animals,” and its effects on children’s developing bodies is yet unstudied. Even for adults, the unregulated nature of the supplement gives cause for reconsideration. Although synthetic melatonin is “chemically identical” to natural melatonin, commercially available supplements “often contain fillers, inert and other ingredients that may cause effects that would not be expected with natural melatonin,” Clete Kushida, a sleep researcher at Stanford University School of Medicine, told HuffPost in an email. So why do people still use it? “Unfortunately, it’s acquired a reputation as a safe, ‘natural,’ over-the-counter quick-fix for sleep that will be hard to shake,” said Grandner. That conviction may explain why melatonin is so popular even though it’s apparently not that effective. Consumer Reports said melatonin supplements helped users fall asleep “only 7 minutes faster and sleep 8 minutes longer on average,” according to a 2013 analysis. And the same report notes that “about 20 percent of users in our survey reported next-day grogginess,” and recommended that users exercise caution before driving the next day. 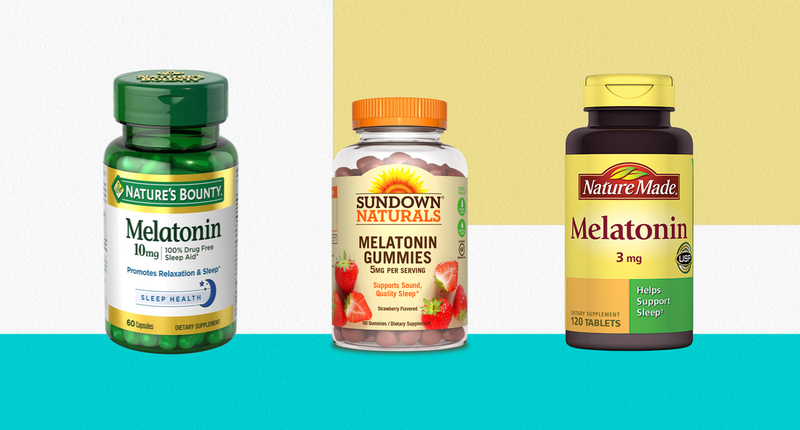 “Melatonin is not an insomnia cure,” Grandner emphasized. “The main reasons regular people find it hard to sleep ― tossing and turning, ruminating in bed ― will not be affected by melatonin.” He suggested that the vast majority of people who struggle to fall asleep would be better served by establishing a consistent routine, practicing good sleep hygiene in the bedroom and getting lots of daytime light exposure. And for those who do continue to use melatonin, he said to be mindful of the dosage. “A little nudge is as effective as a big push,” he said.